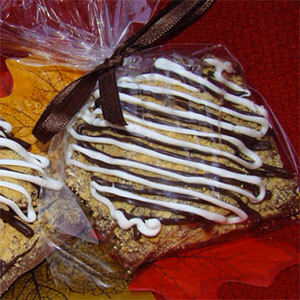 S’mores Graham Cracker Favors, 12 individually bagged, 3 flavors. 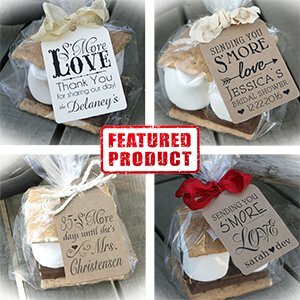 Wedding or Shower S’More Kits–Custom Tags, Bags, and Twine or Seam Binding. Choice of Multiple Styles. Price each for 25. Discount on 30 or more smores kits. Smore Wedding Favor BAGS! Best PriceQualityShipping! Flat Bottom,Classy,Inexpensive. Unique Favor! Clear.Food Safe.Perfect Size:8x4x2!